Giovane Italia is a book about young football players from Italy. There is something peculiar about these players, they are italians indeed, but their parents are not, they represent the beginning of a nation changing face and color. I was asked to make a book trailer and this is the result. I wanted to give the video a visionary look, or somehow represent the struggle players go through to follow their dreams. 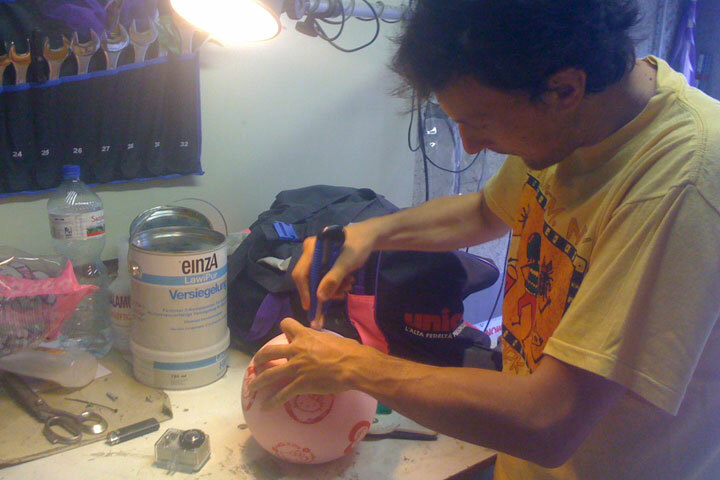 I thought the Ball POV might have worked so we did some tests and created this crazy pinky ball. Here Alex is cutting the rubber and counterweighting the ball with some lead. 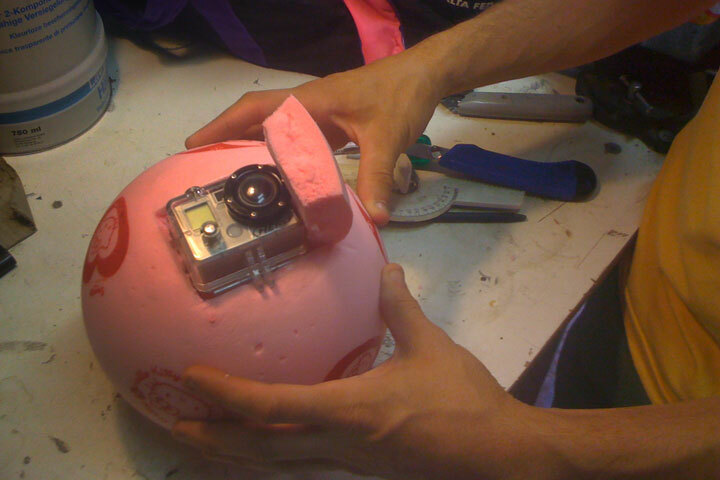 A Go-Pro is inserted inside the ball. 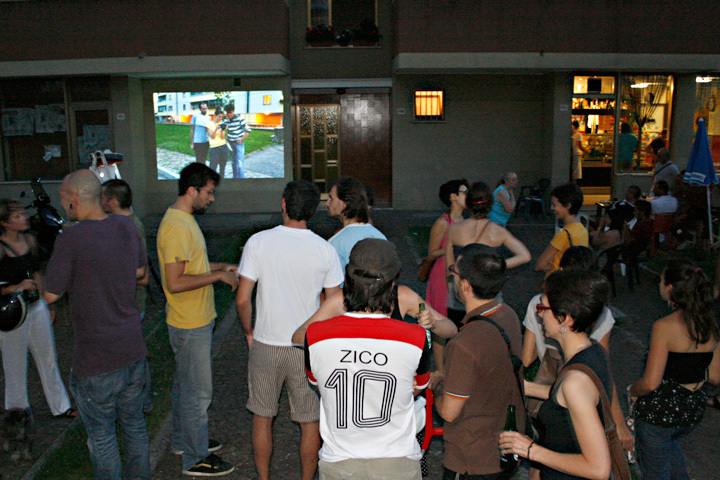 As Nike was presenting the video in Milan, we decided to do a screening in Udine, in the project housing where the video was shot. It was a great success. One of the most popular experiences I’ve ever had. The proud owners of the small Bar Est prepared tables and chairs outside. 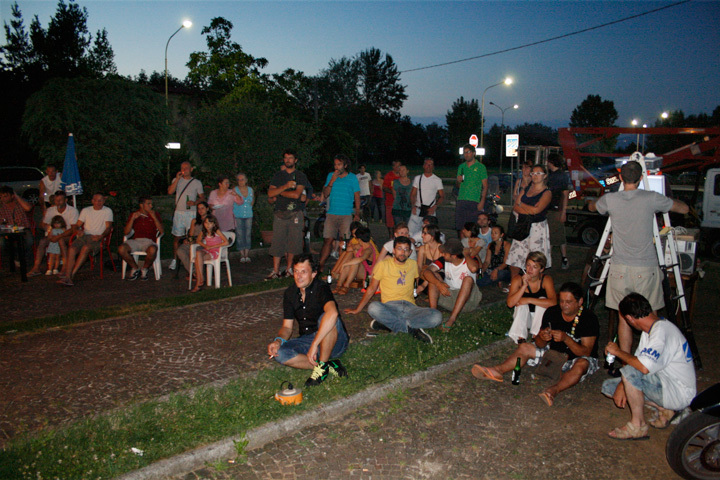 Sandro, the spiritual leader of the housing project, made rise salad for over 50 people. It was worth making this video just to see this happening.